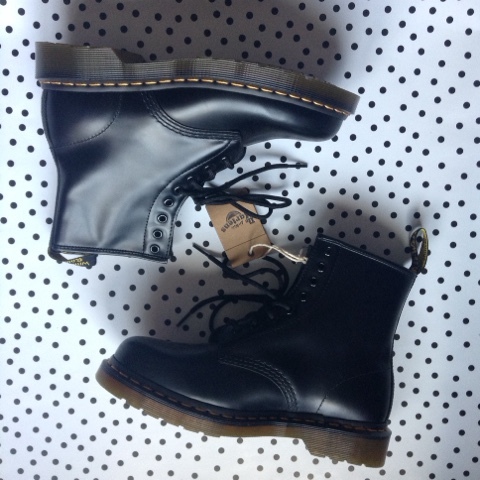 Oh my gosh, I finally have my 'holy grail' of shoes: black doc martens. I bought them from Camden the other day, but I thought they deserved a post of their own. 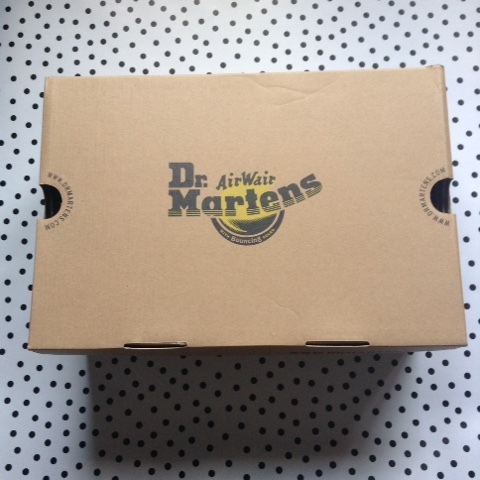 I bought these from office rather than the doctor martens store, because office has a student discount... 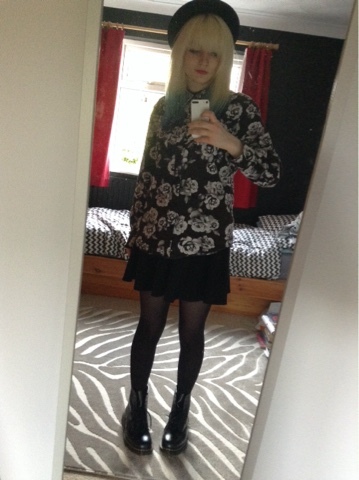 I saved £10 while still getting the exact boots I wanted. 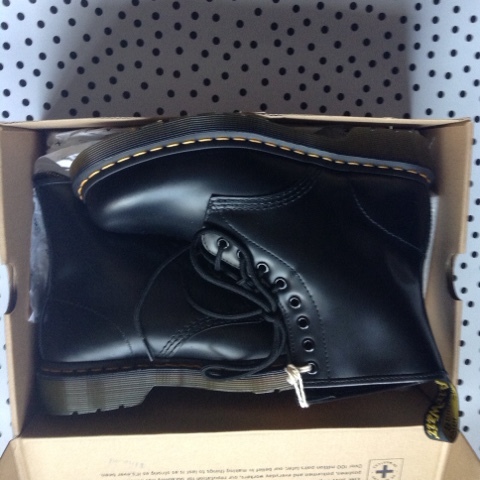 After owning a few fake pairs of DMs before that have quickly worn out, I decided to take the plunge and buy a pair for Japan. I have average for the UK size 6 feet, but I'm going to Japan and other people have said buying shoes there is difficult for taller foreigners. 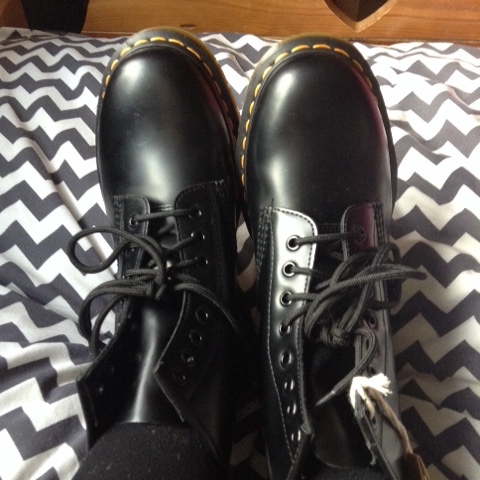 These DMs should last me the year and well beyond. Although lots of people have warned me about how they are uncomfortable to break in, I haven't actually had any problems. I wore thick socks for the first two days and put plasters on the back of my heels to stop them rubbing. I wore them for a week straight and now they are pretty comfy. For now, here are some pictures of them in all their shiny, just out of the box glory. Thanks for reading! Do any of you have DMs? How long did they take to break in?